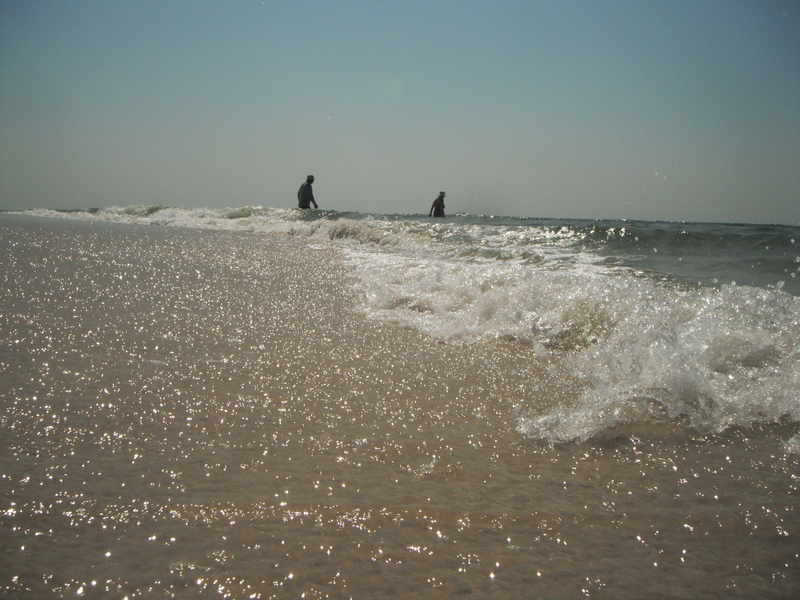 We hadn’t really been to a nice beach this summer and we’d never been to Ship Island. The summer was almost over so it was essential to squeeze it in before Labor Day. 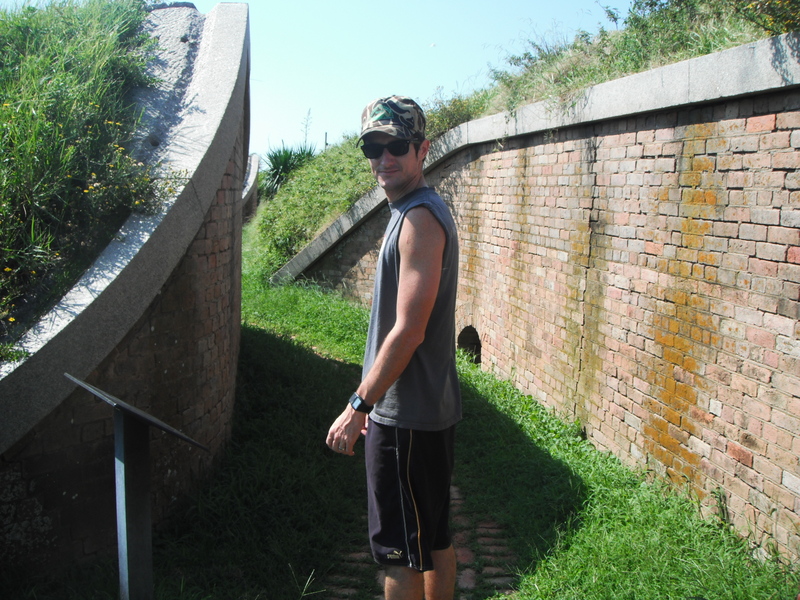 Ship Island is a barrier island 11 miles off the coast of Gulfport, MS. You can take a ferry there from the Gulfport Harbor and the boat ride is about an hour. Pretty much guaranteed that you will see dolphins on the way out and on the way back in. 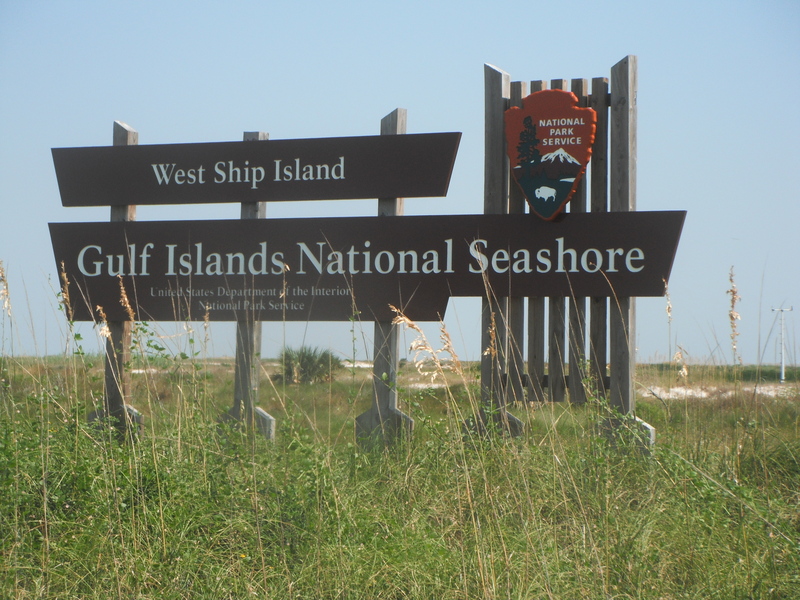 The island(and all of the Mississippi barrier islands) are part of Gulf Islands National Seashore, which stretches from Cat Island, all the way east to Destin, Florida. So basically, once you’re off the ferry, you’re in a National Park and there is no trash cans(pack in and pack out). This is a good policy because the beaches are spotless. They will give you a plastic bag to take your trash home with you if you ask; you just can’t leave it on the island. 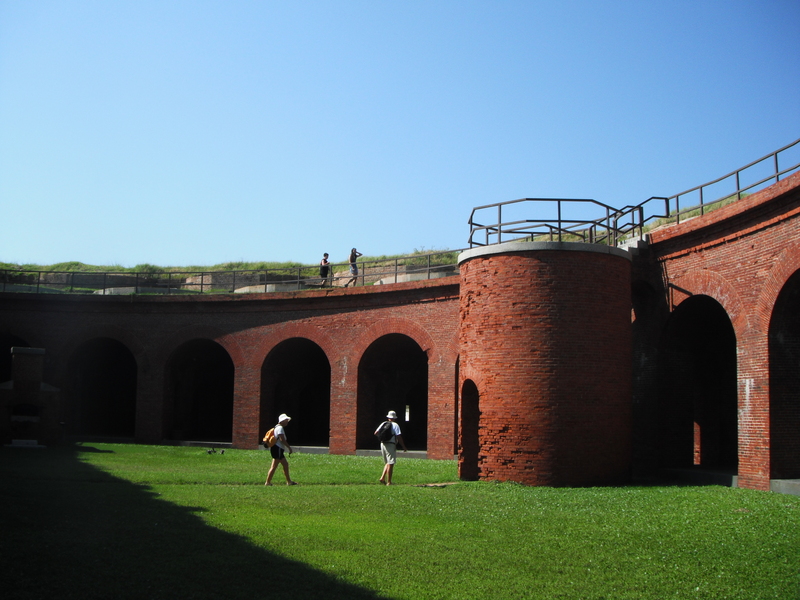 The island also has a Civil War fort on it – Fort Massachusetts. We gave it a speedy tour ’cause there were mosquitoes all over that thing. 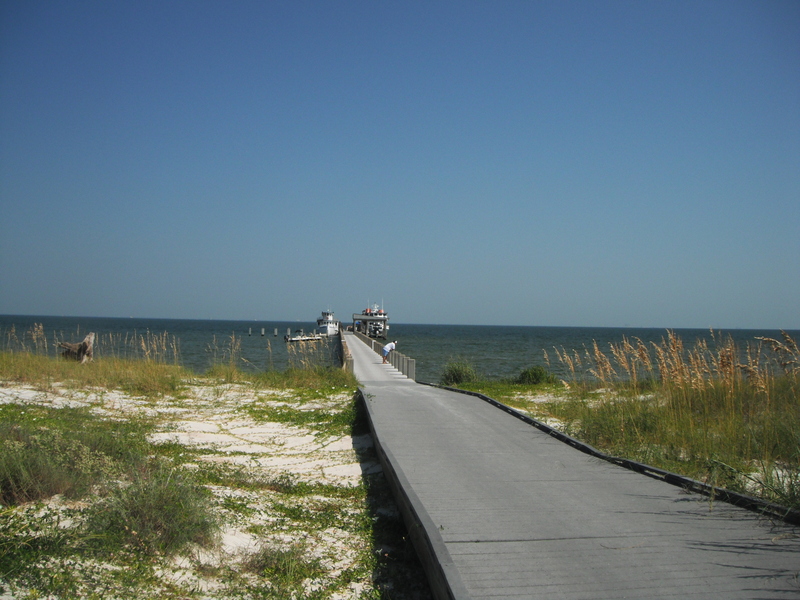 Next, we cruised down the boardwalk to the south side of the island(the open Gulf). This is where the idyllic beaches are. 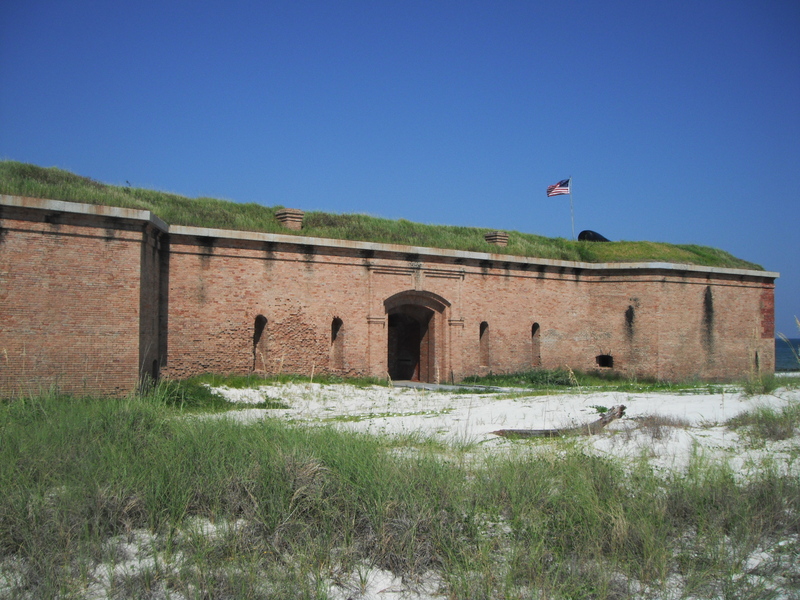 Ship Island is a cross between Dauphin Island and Pensacola with clear emerald water and white sand beaches. No trash – and about 50 guests on the whole island the Wednesday we went. To save a bit of money, we brought our own pop-up shelter and chairs, but you could pay 20 bucks for an umbrella and 2 beach chairs. We also ate on the island. Their restaurant is really a snack bar that has hot dogs and nachos and stuff. No disposable cups; instead they give you a beefier Mardi Gras type cup that you get to keep and refill if you like. Of course, you can bring beer or whatever(just have to bring home your empties). 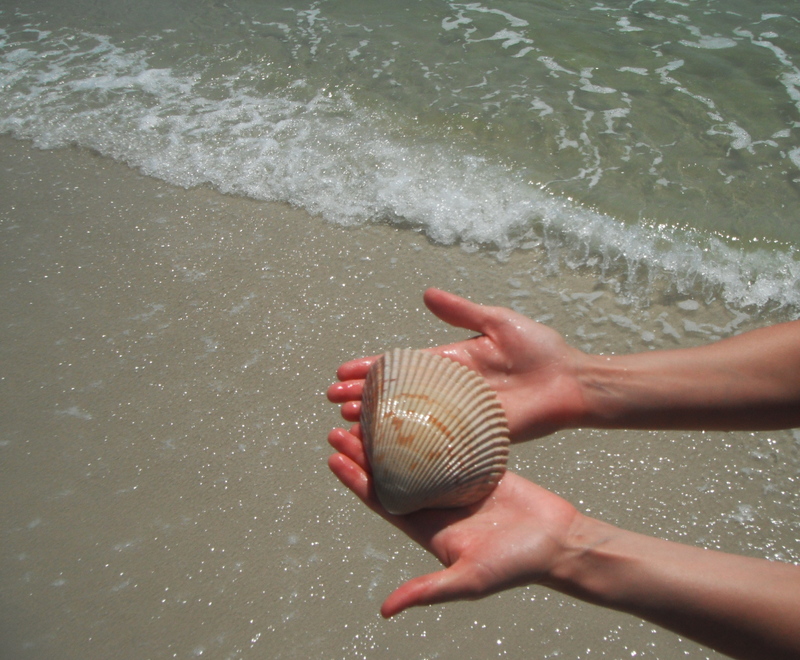 We found this cool shell to match one we found on the Florida coast in Ft. Walton. 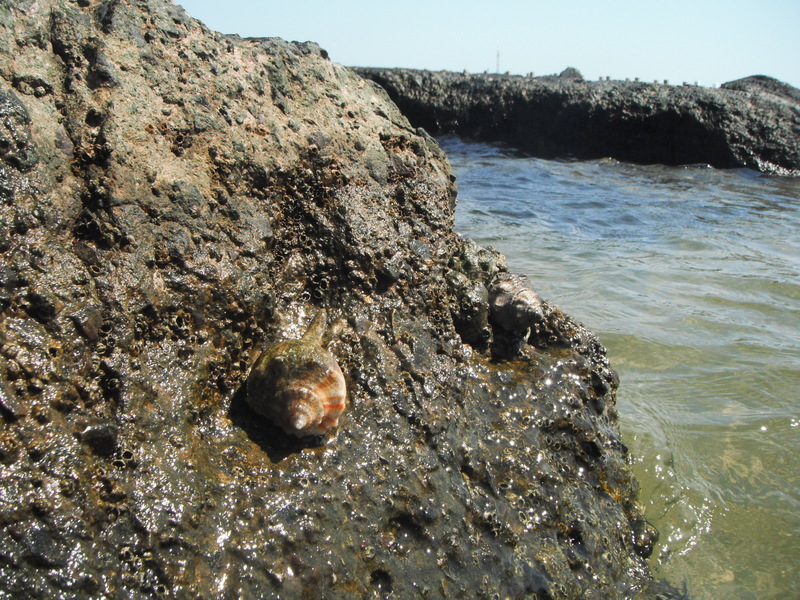 The north side of the island(by the fort) had calmer water and more rocky features(which make a reef habitat). I was amazed at how much stuff I got to see snorkeling in Mississippi! Stingrays, blue crabs, stone crabs, ladyfingers, pinfish, redfish, mullet, sergeant majors, damsels, hermit crabs, and a buncha fish I can’t name. Oh, and on the way back to the boat we saw a 3′ blacktip SHARK. He totally could have come up on me when I was snorkeling and I wouldn’t have known it. Oh, and BTW, not a drop of oil on the island. I was wondering about the oil. So none at all huh? Makes me want to go to the beach before it gets cold.